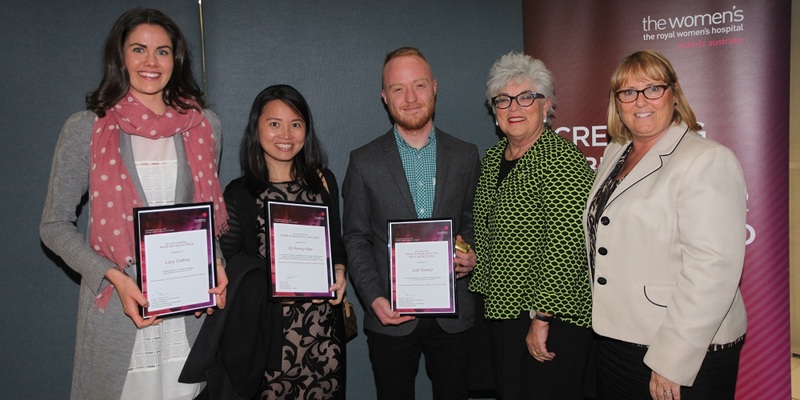 The Women’s recently celebrated the annual Tracy Maund Oration and Medical Student Awards at the Bio21 Institute. The prestigious awards are named in honour of two of the Women’s founders, Richard Tracy and John Maund. Presenting the student awards, the Women’s CEO Dr Sue Matthews said the hospital was committed to research and education, and congratulated this years’ recipients for their leadership and dedication. “Each year we take this opportunity to celebrate the continuation of a strong collaboration between the Women’s and the University of Melbourne School of Medicine in recognising talented students performing at the top of their fields in reproductive biology, neonatal paediatrics and women’s health,” Dr Matthews said. Read more about the founders of the Women's - the Ladies' Committee (including Mrs Frances Perry and Mrs Elizabeth Tripp) and the two doctors who joined the Ladies' Committee to found the 'Melbourne Lying-in Hospital and Infirmary for Diseases of Women and Children' (now the Royal Women's Hospital).